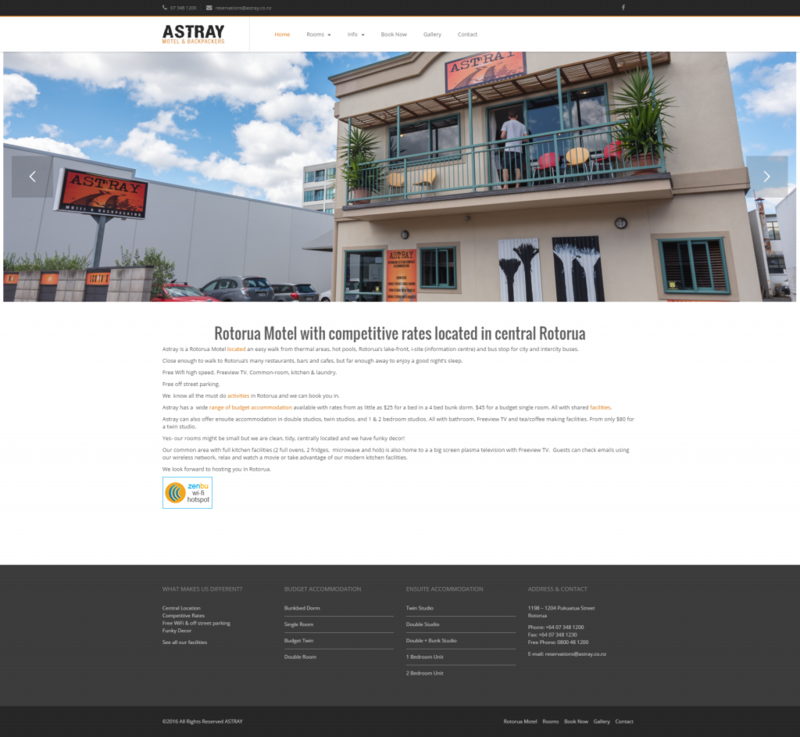 Astray is a centrally located Rotorua Motel, previously Microtel Rotorua, wanted to break away from their chain and re-invent themselves. We were contracted to design a new logo, design business cards, brochure rack cards, and of course and outstanding website. Built on a WordPress CMS/Blogging platform which puts the power back into the clients control to edit the content of the site.